Facebook (Nasdaq:FB) has drawn criticism by allowing insiders who control some one billion shares to sell now instead of later. Facebook valuation is controversial no lets say dubious. The overhang would always be a negative black cloud. Delaying the inevitable sell action would just perpetuate the death of a thousand cuts. Open up the doors. Let the blood flow and get it over with. Investors knew this was coming so it should have been baked into the valuations. Or maybe it wasn’t and investors who got it wrong are just engaging in scream therapy and dealing with their angst. Wal-Mart Upsets Communists $WMT Is Wal-Mart A CIA Front? 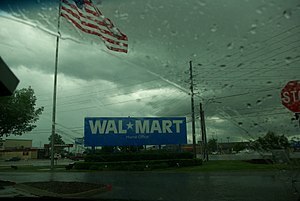 Wal-Mart (NYSE:WMT) is upsetting the communist party in India. While I’m not normally a fan of Wal-Mart I do like upsetting the communists. Wal-Mart has vigorously denied wrongdoing and said it had acted in compliance with all Indian laws. M.P. Achuthan, a Kerala member of the upper house of parliament for the Communist Party of India, wrote to India’s prime minister Manmohan Singh that Wal-Mart had “clandestinely and illegally invested”. Most Wal-Marts are big ugly boxes so I’m not sure how the clandestine part works. Illegal well maybe you got something there. India has so many regulations you are bound to have run afoul of something. Wal-Mart has recently run afoul in Mexico with bribes and skullduggery. Legal fight under way. Wal-Mart has bloodied its nose in Germany and Japan where they have lost money because their model did not work. Now the communists in India are complaining. Wal-Mart is culturally tone-deaf. If I were a communist I would let them in and let them roll the dice in the huge Indian market. Wal-Mart is leveraging up with billions of dollars of cheap debt. They are investing in Indian rupees. The entire expansion is one big unhedged foreign exchange exposure. But then again the communists don’t see it that way. If I was an investor I would be concerned about Wal-Mart getting in and then blowing their brains out all the while borrowing huge gobs of US dollar capital. Usually Wall Street climbs the Wall of Worry. Tomorrow it may do a breast stroke. Wall Street used to have a “Wall’ or so history and folklore tells us. If we are going to have a hurricane every year maybe its time to bring one back. Companies desperate to release bad news often report just before statutory holidays or late Friday night. Watch the newswires carefully. Markets will be distracted with all the sandy and storm surge news. Just the right time to release tough news under a business as usual guise. For those of you in a caveat emptor perspective remember that Black Swans can float quite easily. Lots to think about during tomorrows trading. NYC, NYSE and Nasdaq all prepare for hurricane Sandy. Wall St to stay home and trade electronically. Watch for a surge in users of Facebook (NASDAQ:FB) and twitter as more investors are forced to use mobile. So far apps have been sold on efficiency. Will Mark Zuckerberg figure out the plan B dynamic.